We will not bore you with the history of the word SPAM. If you are interested in this, just follow this link: spam.cmbl.be . On the other hand, with this document, we would like to give you a few tips to help you not to be considered as a spammer. Because even if your intentions are entirely honourable, some strict spam filters can always cause problems. Why you do not want to be a spammer? First of all, spamming is an unethical way to communicate. Bothering people with e-mails without asking for their opinion is simply not done. It could affect your reputation. And, in the long run, it could even cost you customers. But it is best to avoid that label even in the short run. Because those who are repeatedly flagged as spammers by service providers and users end up blacklisted in no time. And as soon as your IP address is blacklisted, you cannot send e-mails anymore. Not even regular ones. Moreover, the procedure to be taken off that list is annoying, long and sometimes even expensive. Spam check is mostly an automated task. Several programs on the servers run by Internet Service Providers (ISPs) check a whole series of settings and determine, based on these settings, if your e-mail is a regular message or not. These filters only take preset criteria into account. This means that they cannot interpret your e-mail. So, it is perfectly possible that a series of regular messages get blocked by this filter, because you sent it like a spammer would send it. With the tips included in this white paper, we will help you avoid such problems. A bounce is an e-mail message from a provider indicating that your e-mail could not be delivered. This is usually due to the fact that you sent a message to an address that no longer exists. Such messages are quite common with each mailing. You can identify them by their standard formulation, like e.g. “Mail delivery failed: returning message to sender”. Such a bounce is not a problem per se. It is perfectly possible that you made a typo in the e-mail address. Or that you are trying to send an e-mail to a contact person who, in the meantime, got a new job and thus also has a new e-mail address. Spam filters too know that well. A handful of bounces per mailing are thus perfectly acceptable. But if an ISP constantly gets undeliverable e-mails from your address, you are in trouble. Because this means that you just collected some random addresses and that you sent unsolicited e-mail to the whole list. And then, you will be penalised. Remedy: follow your bounces. Delete incorrect e-mail addresses from the list before sending a new mailing. This way, you will avoid ending up blacklisted. 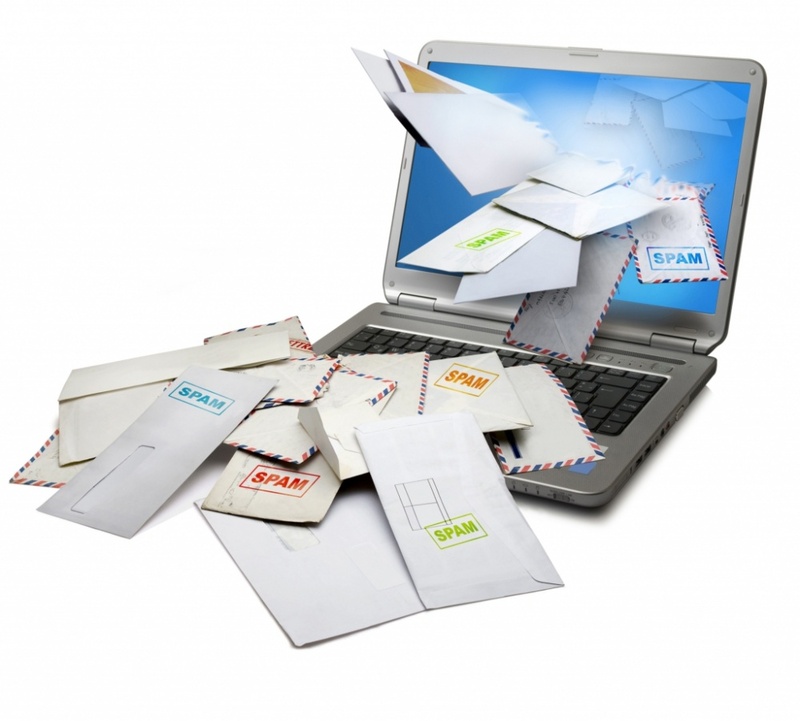 E-mail throttling is a term that – roughly speaking – means: sending your messages in small groups. In other words, instead of sending your mailing to 500 addresses at once, you group your e-mails in series of fifty and send one series every 15 minutes. Using the throttle (like your gas pedal) means that you keep the amount of outgoing e-mails under control at any moment. And that is important. Because spammers (or viruses and worms that send mass e-mails) are known for constantly sending huge amounts of messages around the world. So, if you step on the gas pedal all the way down, you will fall in the same category. And that means: a slowdown in sending your e-mails. And in the worst of cases, blacklisting. Remedy: use an e-mail client with automatic throttling. This way, you will not be considered as a spammer or a worm. This is a no-brainer. You know very well that, nowadays, with “Viagra” and “Nigerian lottery”, you will not succeed. But many other words, such as “free”, “cheap” or “discount”, are processed in an increasingly strict manner. Of course, you can still use these words, but be aware of the fact that they increase your spam score. And that you cannot afford to make another mistake when sending your message. Remedy: avoid spam words in the subject line of your messages. And do not use them too many times in your e-mail either. There are alternatives enough to convey your message without having to use these risky words. Valid XHTML – An e-mail with images, text, links, titles and multimedia content looks really fantastic. But if your code is not entirely correct (no open tags, only valid characters, etc. ), the filter could regard it as spam. And the message would never reach your readers. Balance between text and images – Make sure there is a good balance between text and images. An e-mail that is nearly entirely made up of one single image is THE prototype of a spam message. So, it will never pass the checkpoints. Remedy: send text-only messages without an HTML layout. Or use a specific program that produces only valid HTML. You should also always have your newsletter or mailing read by a developer who will detect possible HTML errors. What gives a spam message away? You send the exact same e-mail to hundreds of different addresses. Spam filters’ “reasoning” is very logical: if you do not add any distinctive touch to an e-mail, it is by definition not personalised. And filters tend to consider this as spam. Obviously, this does not mean that you cannot send mass e-mails anymore. Or that, from now on, you need to send personalised e-mails to every customer. You just have to make sure that you include small variations in each message. The name and title of the recipient, for instance. Remedy: link your address database to your e-mail client and make sure that it automatically includes your customer’s name and title at the beginning of the e-mail. Or use a customer ID somewhere in the message. Your IP address should match your hostname – Each server has a unique IP address and a unique hostname. Both should match. Otherwise, your e-mail will get a negative spam score. Use Sender Policy Framework (SPF) – Via SPF, e-mail providers can determine if your e-mail address is actually authorised to send e-mail. If this is not the case, e-mail traffic is blocked. So, give your permission only to correct addresses. This way, you will make sure that worms or viruses do not send unsolicited e-mail. Use DomainKeys Identified Mail (DKIM records) – Sign all outgoing e-mails with a Domain Key. This is an encryption string that allows incoming mail servers to check if the e-mail was actually sent from your own server. This way, you will avoid high spam scores. Avoid having an endless list of addresses in Cc/Bcc – Outlook blocks e-mails with more than 30 addresses in Cc or Bcc. So, group your recipients in smaller groups. Use an antivirus program – A good antivirus program checks every outgoing e-mail and blocks messages sent unintentionally, generated by worms or viruses. This way, you can avoid being blacklisted. Many people use Gmail, Hotmail, Yahoo or other online programs to check their e-mail. In these programs, any unsolicited e-mail can be flagged as ‘spam’ or ‘junk’ in just one click. Many of these clicks come from readers who just want to unsubscribe from your list. Not from people who consider your message as spam. But since the subscription cancellation procedure is not always very clear, they just use the spam button. And that is bad for your spam score. Remedy: make the subscription cancellation procedure clear and simple. Make sure that readers do not need to enter a (long-forgotten) password or login before they can unsubscribe.